Xpress fat workouts is a product that burns stubborn fat from your body, help to sculpt out the body you've always wanted-revealing your abs without going to the gym. Xpress fat workouts is designed for who? and why should you trust the product? 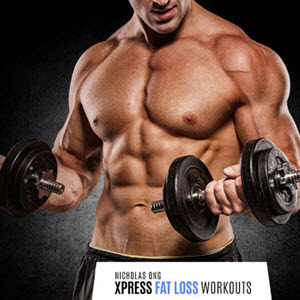 Xpress fat workouts product is designed for people faced with the problem of obesity and is ready to sculpt out the body they have always desired. With this product, you will be assured your own personal sanctuary,less confusion, and the product gives you the opportunity to work out whatever day you have time-based on your schedule. How it works: Perform three sets of six repetitions of the dumbbell clean and press. Then do the barbell squat, followed immediately by the dumbbell single-arm row. This pair of moves is a superset; complete three rounds of eight repetition of each that is, their supersets. Next, do three supersets of the deadlift and burpee. Do eight repetition of the deadlift and 30 seconds of the burpee in each superset. Rest for 45 seconds between sets. Try this 3 days a week, resting a day between sessions. Pick this plan when you have no time. You'll maintain muscle and maximize fat loss in about 30 minutes a week. How it works: Perform the deadlift, dumbbell clean, dumbbell squat, and farmer's walk in a circuit, moving swiftly from one move to the next. Do eight repetition of the first and third exercises and five repetitions of the second exercise. Do the farmer's walk for 30 seconds. Complete two to four circuits, resting 60 seconds between circuits. Perform this routine 2 or 3 days a week, with at least a day between sessions. No gym? Try this weight-free workout. It keeps your heart rate elevated and your fat burning furnace stoked. How it works: Start with 15 repetitions of body-weight squats. Instead of holding weights, extend your arms overhead. Then, without resting, do 30 seconds of the burpee and 10 repetitions of the single-leg Romanian deadlift with each leg. That's a circuit. Do two to four circuits, resting for 60 seconds between circuits. Do this 3 days a week. Stand holding a barbell across the back of your shoulders with an overhand grip, your hands wider than shoulder-width apart. Keeping your back naturally arched, bend at the hips and knees to lower your body. Push back up to a standing position, lower yourself until your thighs are at least parallel to the floor. Stand with a barbell on the floor in front of you, with the bar over your toes. Bend your knees and grasp the bar with an overhand grip. Keeping your back straight, stand up. Keep the bar close to your body as you lift it. Don't lean forward or back. Stand tall and straight throughout the move. Stand on your left foot with your right foot raised behind you and your arms hanging in front of you. Keeping a natural arch in your spine, push your hips back as you lower your hands and upper body. Squeeze your glutes and press your heel into the floor to return to an upright position. Complete a repetition on one leg before repeating on the other leg. What problem can Xpress fat workouts help solve? 1. The body cholesterol level would be maintained. 2. Reduce the risk of respiratory and cardiac problems and diseases respectively: You have probably heard of cardiac arrest when the heart suddenly stops beating or blocked heart valves. This is due to the excess fats present in the body of the patient. The valves of the heart must exert more pressure to pump the blood throughout the body which stresses the whole circulatory system. Ultimately it can all result in cardiac failure. Therefore, with the help of the product Xpress fat workouts, this dangerous disease has been curbed to the barest minimum. 3. Maintain the regulation and secretion of hormones. 4. Reduce the risk of diabetes: The sugar level of your blood also helps you maintain optimal metabolic processes. The excess of fat and cholesterol disturbs the contents of the blood and hence the sugar level either creeps up or bows down in such a way that you feel. 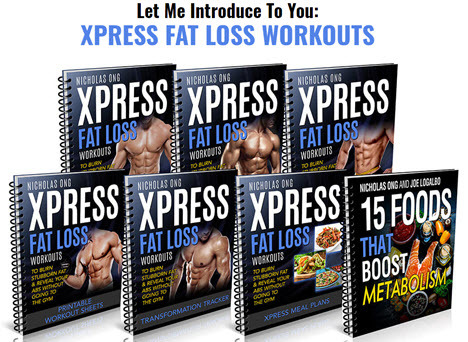 The worst effect of diabetes you need to eliminate the excess amount of fat in your body by taking into consideration the value of Xpress fat workouts product. About the author: The author-Nicholas Ong, is a creative and a visionary person with the motive to create a very flexible and tailored product in order to accomplish the costumer's desire to obtain a perfect body, free of excess fat.